Within Teamwork Projects, you can quickly view information about your board columns, when viewing your tasks in board view. To the right of each column name you will see a number based on the amount of cards added to that column. 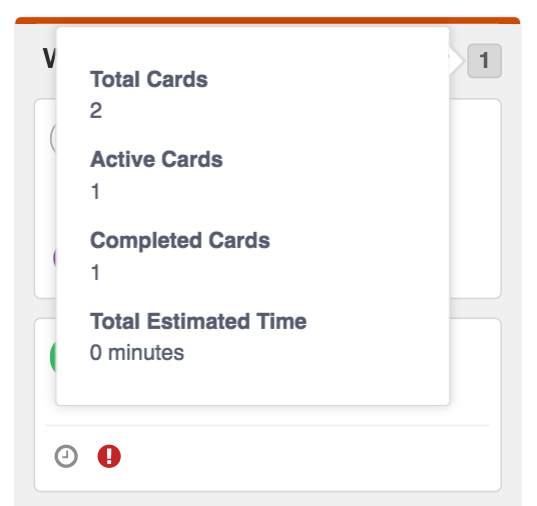 The card count represents the total number of active (not complete) cards in the column. Note: Completed cards are not included in this count. Instead they are included in the counts in the on-hover pane.